Happy Friday! Wow, this week just seemed to fly right by…the complete opposite of how last week seemed to feel. So, what are your plans for the weekend? I’m looking forward to working on a few art projects that I’ve had on hold for a while and playing with a few new recipes. 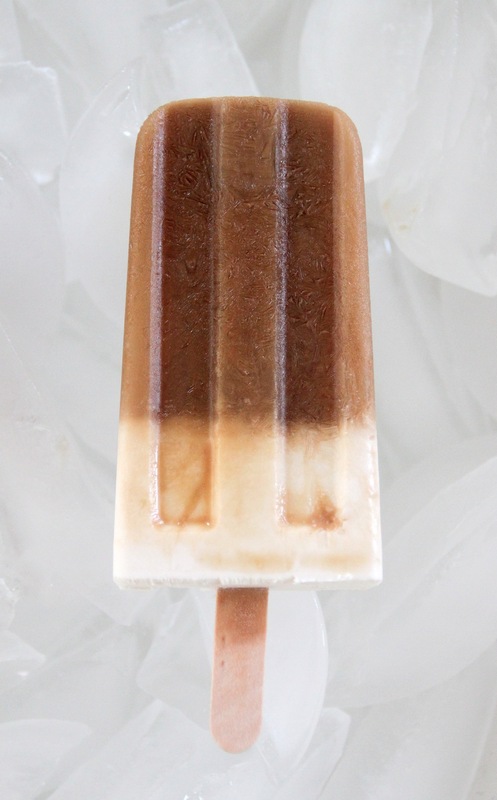 And speaking of recipes, I’d like to leave you with this tasty recipe for Coffee Ice Pops- creamy, rich, and icy cold…a perfect treat for a warm weekend. xoxo! 1. Mix the coffee with half & half. Taste, and add a bit more milk, if desired. 2. 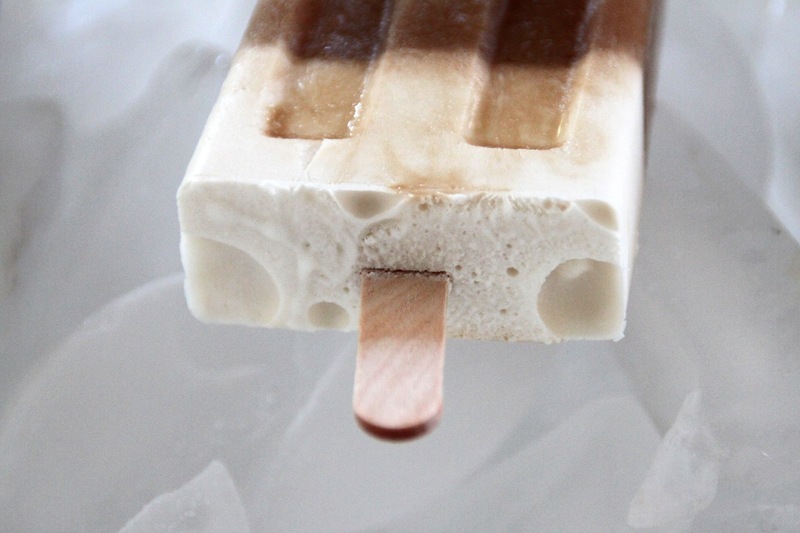 Pour into popsicle molds about 3/4th’s full and freeze for 1-2 hours. 3. Meanwhile, mix the heavy cream and confectioners sugar. 4. Top coffee with heavy cream, insert sticks and freeze until solid. Voila! Just what I need in this blistering heat! Maybe a Popsicle in the AM to wake up?!! that’s what I’m thinking! The summer is starting to heat up, and hot coffee doesn’t always seem fitting. 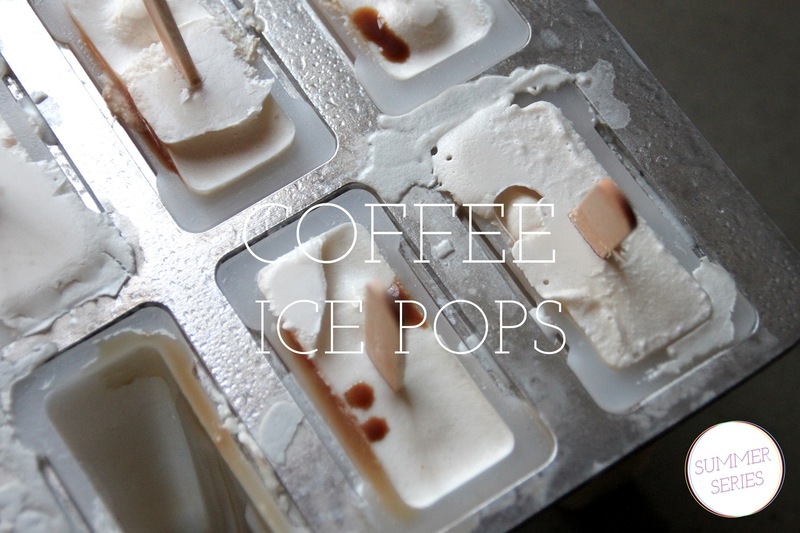 Make a change from a capachino on a hot summer morning!